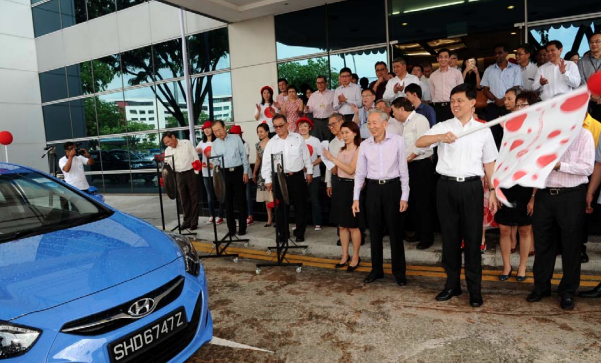 ComfortDelGro Corporation has launched the sale of 50,000 “red dots” to raise funds for charity. Made of durable red foam, they are mounted on a 30cm long plastic stand and can be clipped onto car windows. Around SG$360,000 has been pledged by ComfortDelGro and its subsidiaries with an aim to raise Sg$140,000 in sales proceeds over the next three months. Net proceeds from the sale of the red dots will go to Lions Befrienders Service Association (Singapore) (Lions Befrienders); Handicaps Welfare Association (HWA); Cerebral Palsy Alliance Singapore (CPAS); and Singapore Association of the Visually Handicapped (SAVH). Lions Befrienders, expects to use the funds raised for upgrading projects under the Home Improvement Programme (HIP) Fund which was jointly set up with ComfortDelGro in 2010. The little red dots can be purchased for SG$10 each at selected ComfortDelGro premises as well as Singapore Petroleum Company’s pump stations islandwide. This is available until 31 August 2015. The agency has brought on board We Are Social's regional lead Simon Kemp to help in its SEA growth plans. ..
Are you spending CNY with family members this year? ..